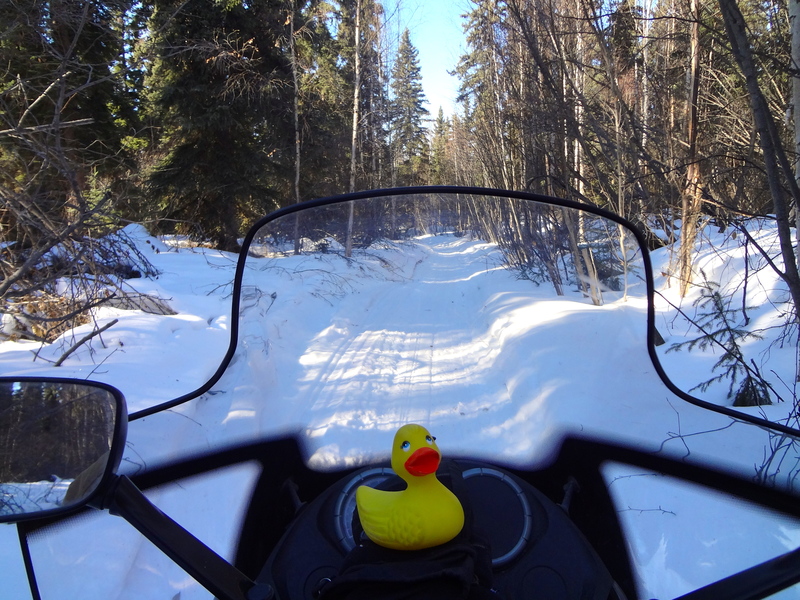 Eider Duck, our cousin, lives near Fairbanks, in the town of North Pole, Alaska. 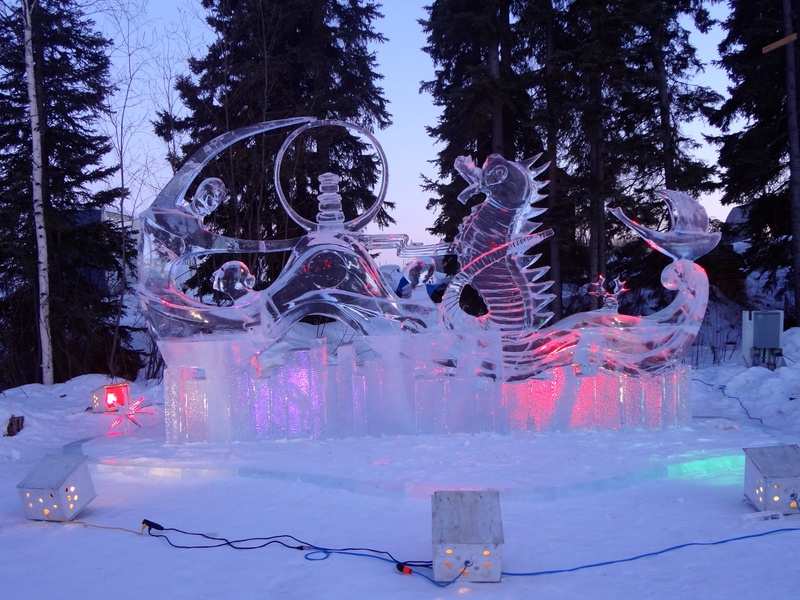 During the winter there is an international ice sculpting contest in Fairbanks. 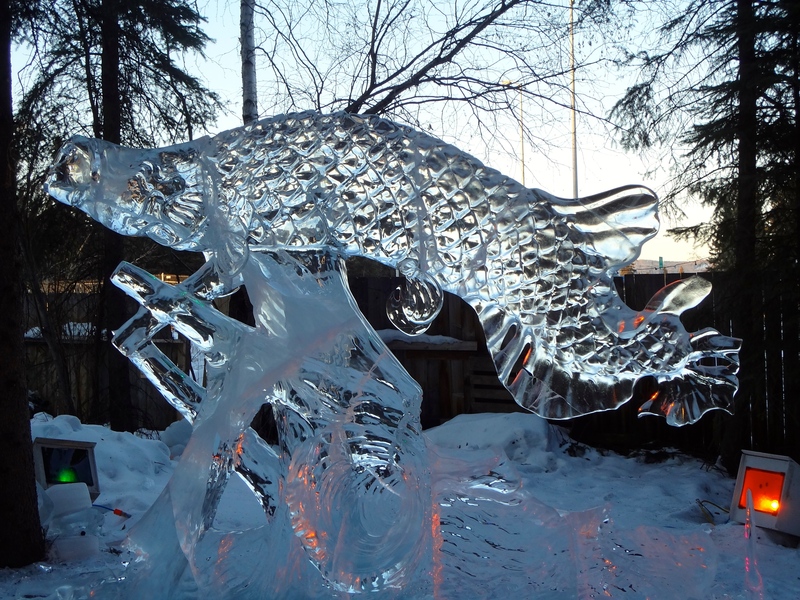 These are a couple ice sculptures from previous years. That fish is probably my favorite. This one is also great, especially with the colored lights. In Colorado we ride snowmobiles. 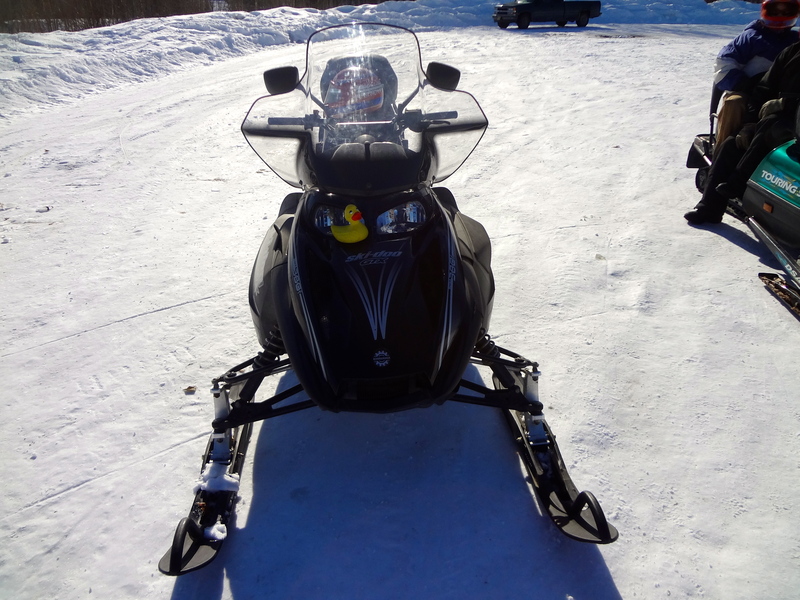 In Alaska, Eider calls them snow machines. They are similar to motorcycles for snow. Eider heading down the snowy road. He and his dad ride snow machines. Eider says it is a lot of fun. Sometimes it is too cold to ride the snow machines. But Eider is a tough duck and he likes his winter life in Alaska. 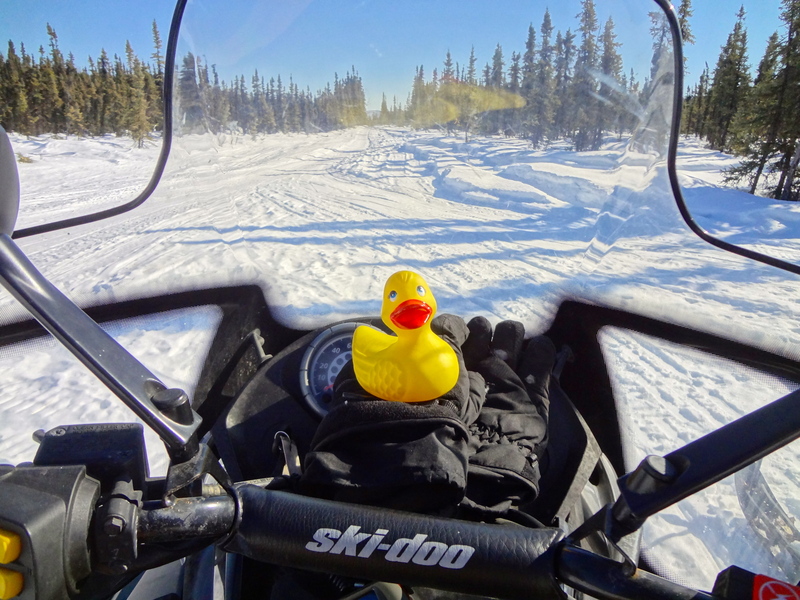 This entry was posted in Alaska, Uncategorized and tagged Alaska, Colorado Traveling Ducks, Ice sculptures, snow machines. Bookmark the permalink. It would be very cool to be able to say you live at North Pole! I believe they do enjoy saying that. However, I feel real foolish sending packages to the North Pole at Christmas. It is a fun place to visit, but I prefer the summer there. Thanks for reading and commenting. That’s a twist on what usually happens. How funny.